If the diarist Samuel Pepys were alive today, he may well have used the web to record his thoughts. So Phil Gyford has turned his daily musings into a weblog. When the idea of making a website out of Samuel Pepys' diary first occurred to me it seemed so obvious that I was worried someone would beat me to it. For nearly 10 years from 1660 Pepys wrote about his experiences day by day: his own intriguing private life, his professional rise through the ranks and important events of the day such as The Great Fire and the Plague. This journal of both large and small scale events often happens in public view today, on weblogs. Known as blogs, a few years ago these sites were the sole domain of web geeks but now an ever-increasing number cover thousands of topics. I thought Pepys' diary could make a great weblog. The published diary takes the form of nine hefty volumes - a daunting prospect. Reading it day by day on a website would be far more manageable, with the real-time aspect making it a more involving experience. Copyright isn't a problem; the remarkable Project Gutenberg, a community effort to make electronic texts of copyright-free books available to everyone, has produced a version of the diary dating from 1893. This Victorian edition misses out a few of the juiciest phrases but it is free to use and comes with explanatory footnotes. One of the reasons for the recent boom in weblogs is that the tools to create and manage them are generally free and increasingly easy to use. I chose Movable Type because it allows readers to post comments next to each entry. It all seemed too perfect: this could be a fascinating site and would be simple and cheap to create. I couldn't believe I was alone in thinking this, so I didn't tell even my closest friends about it. After a few months thinking about how best to tackle it, I spent a few weekends and evenings creating the site, which was ready a week before Pepys' first entry on 1 January. Although the diary text came with footnotes, these assume a level of knowledge about British history, geography and language that few have in the 21st Century. This is where the ability to post comments on the site has proved crucial. Entries and footnotes are already being annotated by readers who provide explanations and additional information, creating a more communal experience than conventional publishing allows. So rather than simply publishing a dead - albeit fascinating - text, I now find myself in charge of a far more exciting living read. Only a week in, it's been fascinating to hear the thoughts of readers. 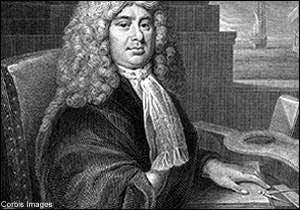 Some have called Pepys the world's first blogger, which wrongly assumes no-one before 1660 kept a diary. And because it is a personal diary, the thrill of reading it is different to that of a weblog; had Pepys been writing for publication he would undoubtedly have left out his most controversial or revealing thoughts. Some readers have wondered if the site says anything about the state of blogging. Are conventional weblogs unexciting and we're craving novelty? I disagree - weblogging has never been healthier or more vibrant; the more people involved, the better the net is. Now the format is established and familiar, it's far easier to create innovative ways of using it. Others have marvelled at my apparent level of commitment; I have 10 years of weblogging ahead of me. But with the site built, preparing new diary entries should take little more than an evening or two each month. But I'm sure I'll spend more time reading the diary and readers' annotations and contributing my own - this is what excites me the most. Not only will I finally read the diary, I'll do so at the same time as people all over the world. It's like the world's largest book club. Real Time gives people a chance to tell their own stories in their own words. If you've got something to say, click here. I was thrilled to find this website. I found Shorter Pepys in my local library a few years ago and fell in love with it. Since my sisters and I are going to be going to London in a few weeks, I was looking up walking tours and tried "Samuel Pepys London" in the search. Among other things of much less interest, I found this site. I have been re-reading Shorter Pepys (Latham) and this blog is just wonderful. I love the way I can link to definitions and explanations as I read. I find the torturing of this estimable diary into an unnatural weblog to be a pernicious thing, more to satisfy fashion than need. Those who would require such a thing to be reduced in this fashion are naughty, uncouth fellows, and I shall have none of them. Having said my piece, I tasted of a most excellent canary and so to bed. Someone is doing this with Las Cases' Diary of Napoleon's exile on St Helena. It is excellent. Pepys would never have posted his thoughts on the web. He kept his diary in a particularly complex form of shorthand - to preserve his privacy - which wasn't decoded until the early 19th Century after much hard effort. He would probably be mortified if he knew that anyone and everyone could now read of his less than salubrious private life. Actually, Alex, he used a simple form of shorthand, one that was common in his day and not hard to use or read (if it were, keeping the diary would have taken too much time out of his already busy days). And he used fake-Spanish not just for the salacious parts but whenever he was feeling playful. don't think he would have minded being blogged at all. What a way to inspire people into a greater interest in history! People love gossip, and for too long the third-level histories have left out the exciting and juicy parts in the name of decorum or some other motivation. As to Pepys' privacy - the man might have had my attitude: after I'm dead, I don't care what people think. He did write it down, coded or not. Reading it now does not damage anyone he cared about. And what difference does it make if five scholars or 5,000 new history buffs read his private thoughts? I read weblogs for the experience of seeing a different part of the world through someone else's eyes. The gap between the reader and the writer then tends to be measured in distance but this is probably the first of many whose distance will be measured in time. An excelent idea! I understand why people WRITE weblogs, but God knows why they READ them - they're self-censored for public consumption. Pepys' diary is bound to be more interesting, because it's intended only for himself. When Pepys wrote the diary, he must not have wanted anyone to read it, especially the descriptions of his philanderings, for which he used Spanish, French and other non-English words. But keep in mind that years later, when he willed his library to Magdalene College, he included those diaries. He could always have burnt them or made arrangements to have them burnt after his death. Pepys' Diary has long been my favorite read, along with Boswell's Johnson. I look forward to the daily installments on this new site. Thank you, Phil Gyford, for your labor of love. I would love to read the diary. Disclaimer: The BBC will put up as many of your comments as possible but we cannot guarantee that all e-mails will be published. The BBC reserves the right to edit comments that are published.